Did you know that four out of five children in the Republic of Ireland are still not getting enough exercise, posing serious risks to their health and wellbeing? We know that the effects of inactivity are frightening but there is no doubt that regular physical activity has huge physical and mental benefits for our younger generation. 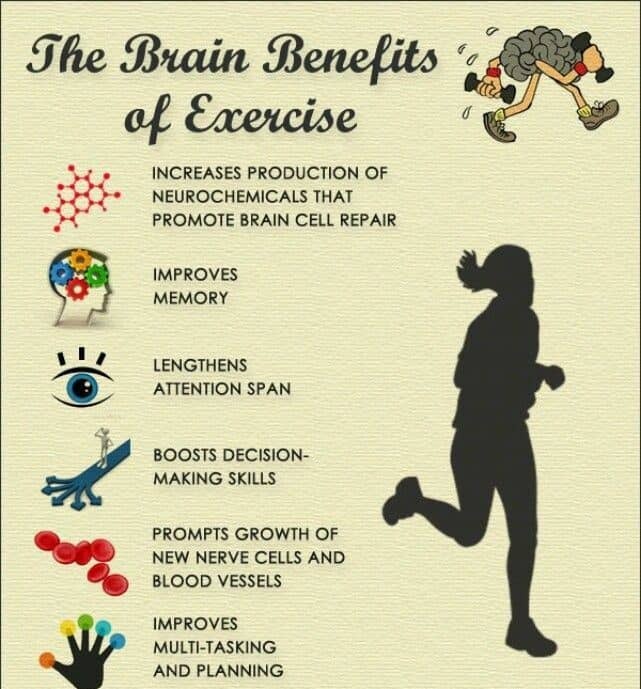 The benefits of being active for physical and mental health are huge. Being active helps release chemicals in your brain (endorphins), which have a positive effect on your mood, not to mention the benefits to your heart, lungs, muscles and bones. Getting out and being active is also a great way to manage stress. Improve agility, balance and co-ordination. Feel more energised - endorphins are released into their bloodstream during activity. Feel happier, by reducing feelings of stress, anxiety and depression. Burn and generate more energy. Improve their physical and mental wellbeing. Prevents sickness and illness because physical activity can help build a healthy heart, develop strong muscles and bones and may help reduce the risk of some chronic diseases that may occur in later life. Improve self-esteem and helps them feel good about themselves. All children and young people should be active, at a moderate to vigorous level, for at least 60 minutes every day. Moderate activity explained: This is when your breathing and heart rate increase and you are still able to carry on a conversation. You should feel warm and develop a slight sweat. Your pace feels comfortable. Vigorous activity explained: This is when your breathing becomes heavy, your heart rate becomes faster and it is difficult to keep a conversation going. Your body temperature also increases causing you to sweat. Remember: Some activity is better than none. Short bouts of activity count; you can reach your 60 minutes by doing short bouts of 10 minutes at a time. Always include muscle-strengthening, flexibility and bone-strengthening exercises at least 2-3 times per week. All major muscle groups should be worked. These are the legs, hips, back, abdomen, chest, shoulders, and arms. Short activity bouts count. Children can reach their 60 minutes 10 minutes at a time. Choose activities appropriate to the child's ability. Spread activities throughout the week. Add activities which increase muscular strength and endurance on two to three days per week. Get active yourself: children learn through example and are five times more likely to be active if their parents are. Limit screen time: limiting screen time allows more time for physical activity. There is a link between number of hours spent in sedentary screen time and the risk of obesity in children. Plan to be active, there are 1,440 minutes in a day so see where children can use at least 60 of them for activity. Remember you don't have to do it all at once even 10 minutes at a time counts. 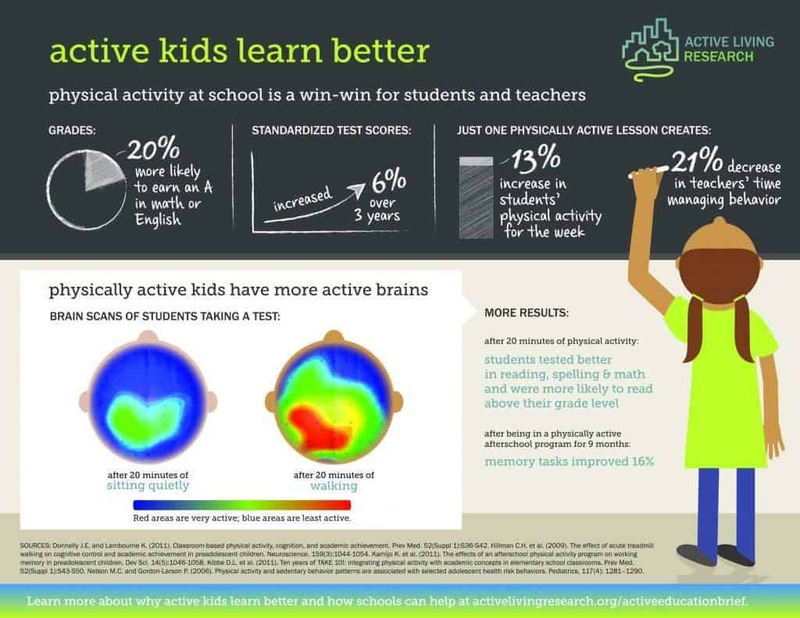 After-school activities are a great way for kids to be more active. Make it family time: enjoy a laugh and a chat while going for a walk, cycle or swim. Play active games with your children: Ball games, rhyming games, skipping, running games, fun games - they will enjoy them as much as you did! Let your children earn their pocket money: by doing active chores, such as hoovering, raking up leaves and washing the car. 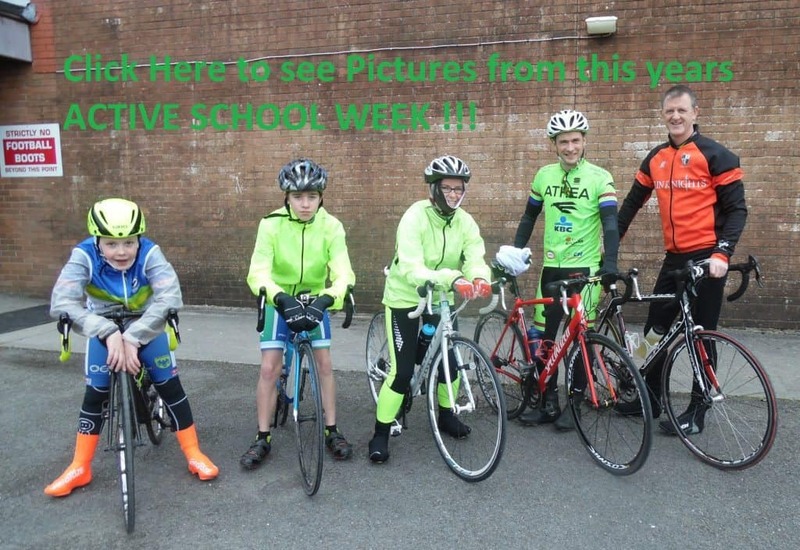 Walk or cycle to school, or at least some of the way, where possible. 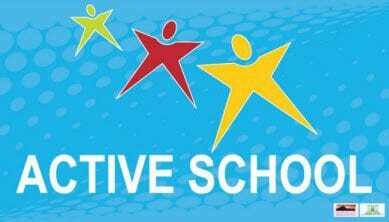 Suggest that the school try for the Active School Flag. See activeschoolflag.ie for more information. Get a rain coat and wellies: don't use the weather as an excuse, make sure you and your child are prepared for rain! Some activity is better than none: if you are a complete beginner aim for 10 minutes of activity to start with. When you are managing this well increase your distance or time building up to at least 60 minutes every day. Limit screen time: if you like playing computer games, choose active games over sedentary games. Keep a record: keep an activity diary, seeing your progress written down is encouraging and can help you stay motivated. Click here for activity diary that you can use. Be active with friends: it’s easier to be active if you have made a commitment to meet someone for a walk or a swim. Set yourself a goal or challenge: there are lots of events and activities - happening in your area that you can set as a goal or target –check out the facilities page. Variety: try different activities. Check out the facilities page to see what options are available in your area. Active transport: walk or cycle to your destination, or at least some of the way, it is a great way to get active every day. During school or college move as much as possible and always take the stairs. Join a club or team: find out what clubs and activities there are in your local community. Why not have a look on the facilities page to see what's available in your area.